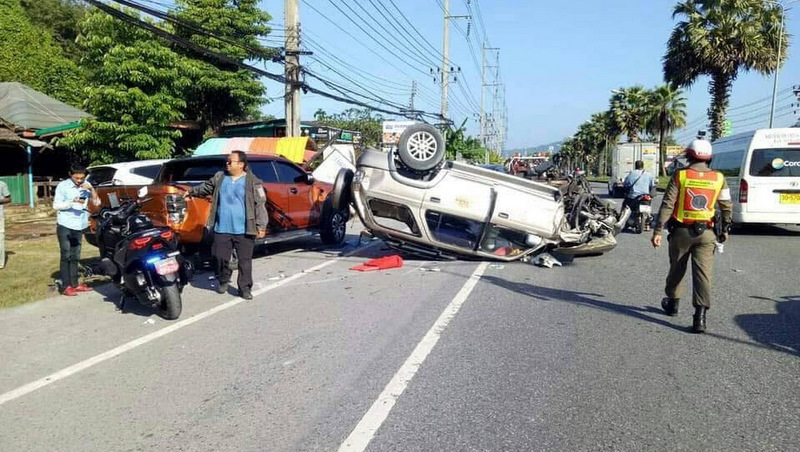 PHUKET: The driver of a registered Phuket taxi vehicle has been charged with reckless driving causing death after wiping out six cars and a motorbike in Thalang yesterday morning (Oct 30) – killing the motorbike driver. Lt Col Pongpan Siripattaranukul of the Thalang Police confirmed the charge to The Phuket News today (Oct 31). 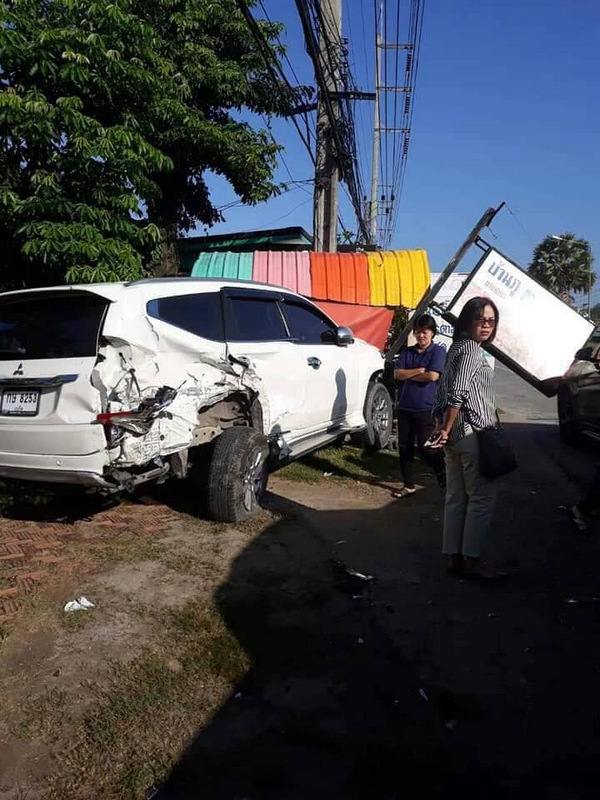 The confirmation follows silence in the aftermath of the wipeout accident on Thepkrasattri Rd, near HomePro Thalang, at about 8am yesterday (Oct 30). The driver of the green-plate registered taxi, who police have so far refused to name, has also been charged with reckless driving causing damage to property, Col Pongpan said. Col Pongpan declined to name or identify the gender or even the age of the deceased, citing that only Capt Supon Mueangkai of Thalang Police – who investigated the scene – would reveal that information. However, Capt Supon did not respond answer to any calls by The Phuket News today. 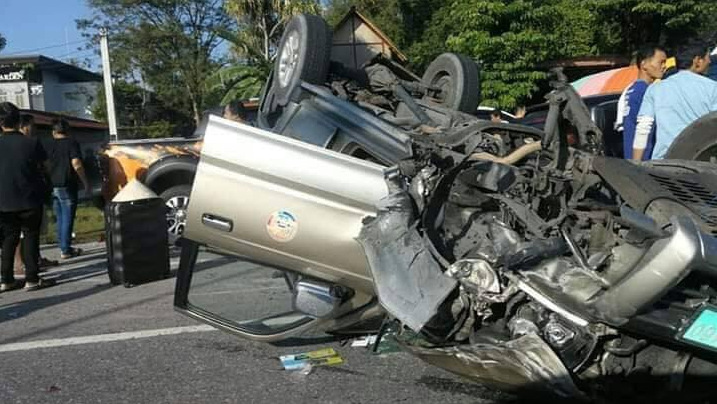 Col Pongpan, who is the Chief of Investigation at the Thalang Police, did volunteer that the accident happened “because the driver lost control of the vehicle”. 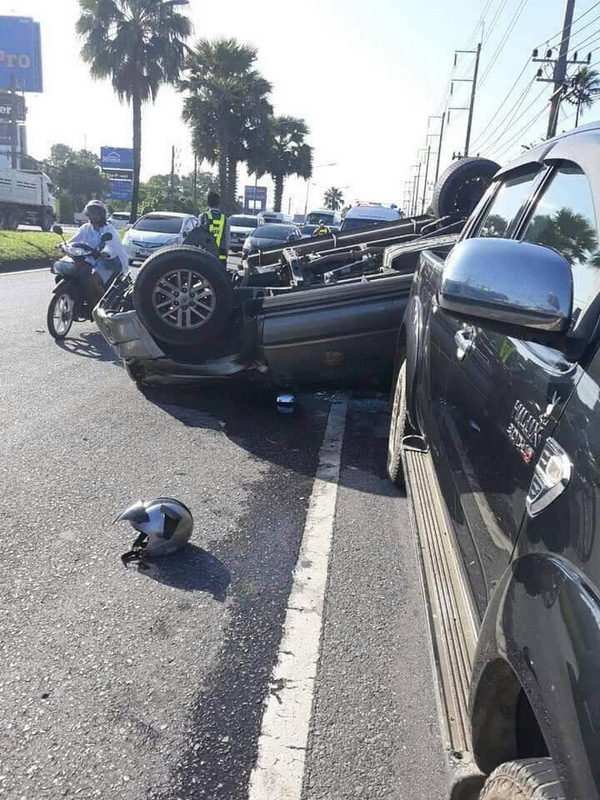 The taxi, with a logo on its front doors indicating that it is operated by one of the co-operatives granted a concession to pick up passengers from Phuket International Airport, went off-road and struck cars in motion and cars by parked by the side of the road, as well as the motorbike. One of the cars struck by the taxi was rammed through a roadside sign. The resulting collisions left the taxi upside down in the middle of the road. 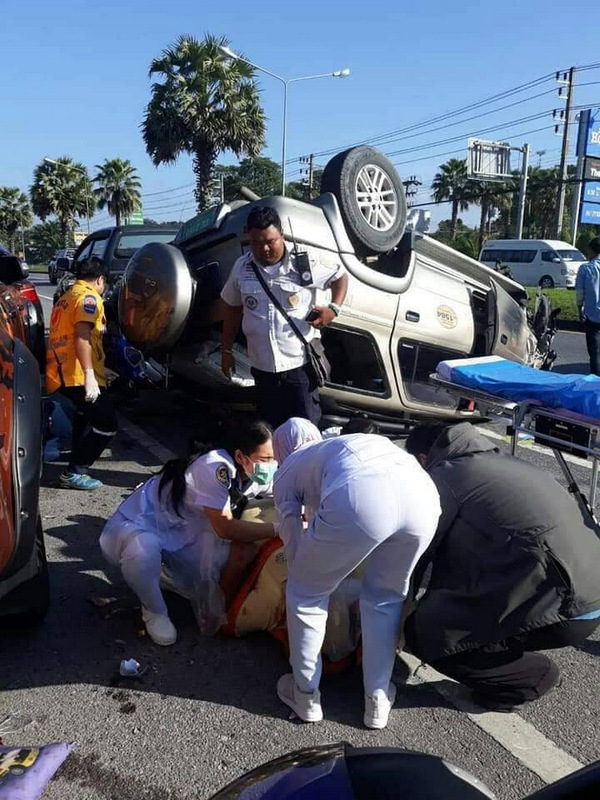 Col Pongpan did confirm there were no passengers in the taxi at the time of the accident, and volunteered that the driver “was not drunk at the time”. No other details of the deadly wipeout were available. Spooky story, Colonel Chief investigator hides behind staff member, Captain, but 'volunteers' in saying something? This taxi driver must be 'VIP-not to touch'. There are police officers, owning, driving themselves in free time their own taxi +  wife and son, etc. So fast the outcome of alcohol test. This affair smells 'protection'. Just lost control, someone died, right? Of course this criminal's anonymity is protected. You'd think that once an adult is actually charged with a crime then the information becomes public (the court being a public body and everything). But no, again it seems that Thai taxi drivers have special rights. Anyone else's name would be released without hesitation, even if they were an innocent victim, but not taxi drivers. Yep, it's that same problem, with many Thai cars, that loose nut behind the steering wheel.